The new Cirrus Kolinsky Sable Range has been developed to provide a quality sable brush at an affordable price. 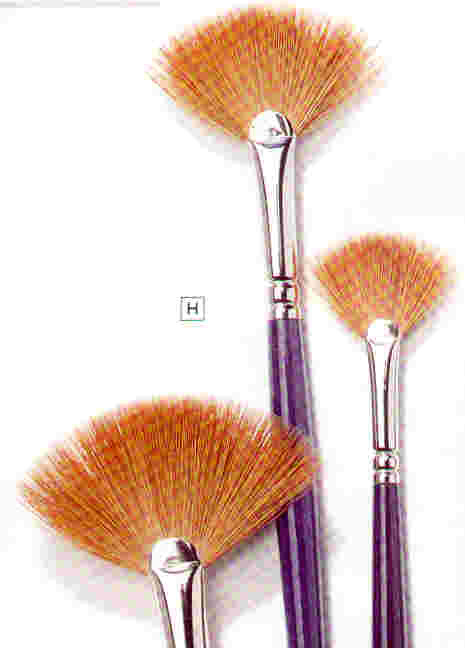 Brushes are hand-made from pure Kolinsky sable and have excellent spring and colour carrying capacity combined with fine pointing. The extensive choice of head shapes, sizes and handle length ensures a brush for every need. 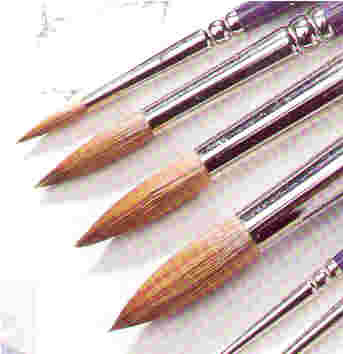 Series 110, 220, 330 and 660 are designed for watercolour use while the long handled series 440, 550, 770 and 880 are oil colour brushes. 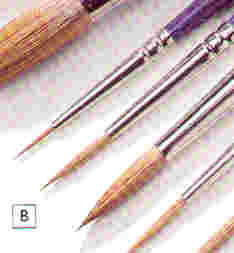 Series 110 Water Colour Brush size 00 - A Series 110 brush features a larger 'belly' than synthetic brushes which produces a distinctive tapered point to the head. Ideal for washes as well as fine line work. Series 220 Designers' Brush size 000 - A Series 220 brush is similar to Series 110 but features a longer 'length out' of hair, particularly suited to the more linear style of illustrators and designers. 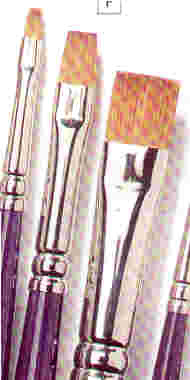 Series 660 One Stroke Brush size 3mm - Short flat brush originally used by sign writers for 'one stroke' applications. Nowadays used for washes. 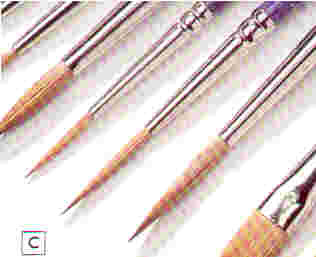 Series 440 Long Handled Round Brush size 1 - used in oil painting where control and accuracy are required. Particularly suitable for glazing and thin applications of colour. Series 550 Long Handled Flat/Bright Brush size 1 - thin, short head takes full advantage of the natural spring of sable hair making it ideal for delicate applications and making square marks on the canvas. Series 770 Long Handled Filbert Brush size 1 - thin, short head combined with an oval head. 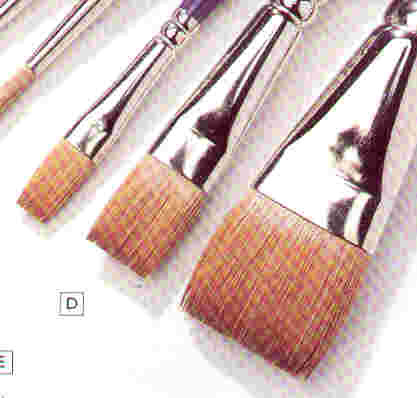 Filberts give the broad mark of a flat with the softer edges expected from a round brush. Excellent for filling in areas without leaving definable marks. Series 880 Long Handled Fan Brush size 1 - oil colour brush with almost semi-circular fans of sable hair for glazing, blending and finishing. Brushes are also useful for stippling and feathering grass and hair effects.